Cardinal Wuerl gave an interview this week in which he described Pope Francis’s leadership and pastoral sensibilities as not denying the doctrine but applying it to the people. This struck me as a very accurate way of describing Francis’ papacy thus far. It seems to me that this is evident in the men he has moved into key leadership positions most especially Bishop Cupich. In his trip to Philadelphia next year I hope that he will continue to draw people away from their dogmatic corners of ideology (no matter where those corners are) and into relationships with one another as the Body of Christ. My other colleagues at Daily Theology have written fabulous pieces this week on hometown pride in New York and Philly, on sports and on the women religious in the US. The other backdrop in the Catholic world this week has been the opening of the Synod on the Family where Francis himself said that the bishops should speak without fear of offending him. That was a stunning statement to hear. After years of ideological battles and scars in the US that was a striking statement. The advice I have to offer the Pope about his visit to the US is that he help us to transcend catholicism that revolves around culture wars. Both so called “social justice” american catholics and so called “life issue” Catholics are guilty of pushing ourselves away from one another in the US (as if these weren’t deeply connected issues). Suspicion abounds on both sides of the other and both hurt the credibility of the church by behaving in a less then Christian manner. 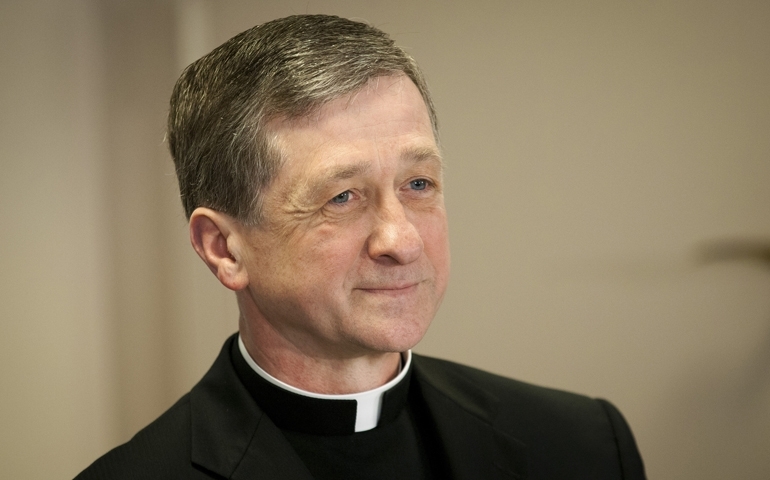 Bishop Cupich in his opening remarks upon being made Archbishop of Chicago responded to a reporter who asked if the pope was sending a message in naming him, a moderate bishop from a small diocese. He responded that the Pope didn’t send a message, he sent a bishop. There are deep divisions in the church in the US. We must not gloss over these in some superficial way that does not speak the truth about people’s lives or systemic sin or that does not speak authentically about church doctrine. But we must act toward one another in accord with the charity and unity intended in our baptismal vows. We can no longer be a Church of “one issue” Catholics as if one’s stance on any one issue provides a litmus test to determine one’s genuine catholicity. Just as Francis sent a bishop and not a message so too, Jesus sends us as baptized members of the body of Christ to proclaim the gospel of the good news to the poor. (Luke 4:18) My hope for Pope Francis’ visit is that he will continue in the same way in which he has moved Bishop Cupich into the archdiocese of Chicago and the many ways he has inspired people all over the world whether it’s paying his hotel bill, forgoing many of the trappings of authority and money that accompany the papacy and moving up the episcopal ladder, identifying with the poor and refugees and the way in which he has blasted the sin of clericalism that runs deep in our parishes and dioceses. I hope that we as an American church can become less fragmented and ideological and more authenticity live our vocations as members of the body of Christ. ← How Should Francis Love My City?